Tomas Prochazka is Head of Product at Tink, a Swedish FinTech company that is democratizing the access to financial data for both retail banks and smaller companies as part of a global open banking movement. He previously worked as Head of Payments at iZettle. Tink is opening the floodgates to financial data by now also granting developers across any sector use our APIs, and with that, the access to financial data and other insights. This is a major step in giving financial data back to where it rightfully belongs – in the hands of consumers. Giving them the option to gain better insight and get better advice based on their finances. He thinks that by doing so, Tink is forcing financial institutions to focus on building a better product, which is ultimately making customers’ lives better. By removing the barriers to accessing financial data, we allow companies to focus on the development of their core business, bringing their vision to life, and ultimately creating better customer experiences. All this months prior to PSD2, the European regulation affecting the financial space, which is forcing banks to open their financial data APIs. Tomas recognizes two trends in the API space. For starters, banks are starting to diverge in how they approach open banking — with some of them doing the bare minimum to meet PSD2 regulatory requirements and others taking it as a new beginning — and secondly, product developers are actually starting to innovate with newly created APIs. Looking at the relatively API immature financial sector where we operate, we see a couple of key developments – primarily affecting the overall perceptions of financial institutions about the concept of APIs and how those will influence the future of the sector, and only secondarily resulting into concrete tech, product discussions and developments. The majority of financial players are currently concerned with regulatory changes, for example PSD2, requiring them to expose certain types of APIs and open up access to some of the bank data. Some banks are taking the approach of just fulfilling the regulatory requirements while as for others this is a start of a new chapter, where offering products and services via APIs will sit at the very core of their business. Second important development is that financial institutions are recognising the ability to consume APIs from other players in order to develop new products, which will become an essential capability. Over the last three years Tink has transformed from a B2C to primarily a B2B company. Our ability to access data from various sources, enrich and enhance this data, derive insights and then exposing all of the data to our bank customers is what the core of our business is. We believe that our key competences lies around the ability to process and enrich large volumes of financial data. Nevertheless, we have become well aware of that fact that if our technology is not easily consumable by our bank customers and API users, we cannot succeed. The quality of our APIs and the accompanying tools, from documentation to tutorials and SDKs, are as critical to our success as the quality of the underlying functionality that we are delivering. Prochazka is glad to see that APIs are becoming a universal B2B language (which is why he’s looking forward to meeting new faces at the Summit!). He thanks regulators for that, but now it’s time for FinTechs to cement the role of APIs in the modern world. In many ways, we can thank regulators who have done a massive job in creating awareness around the topic. Now, it’s up to us in the industry to take it to the next level. Do you feel standards and best practices are necessary for maintaining and propelling the API economy? If so, which have the most momentum? The financial sector is in desperate need of education on best practices. One of the most significant fears that we hear in the fintech ecosystem is linked to the lack of standardisation among how different financial institutions expose their APIs. While there is a number of standardisation bodies focused on unifying the API experience across the financial sector, none has so far surfaced as prevailing. Instead, there is now around 6000 banks across Europe trying to figure out things from scratch. Will this result in an ecosystem that is simple to navigate for tech companies and ultimately lead to great consumer facing products? Let’s see. As drivers in opening APIs in the financial space we have strived hard to make sure that our customers benefit from a top notch developer experience and can deliver fantastic products by overcoming the hurdles that has been tainting the industry. Our rapid growth shows that we are on a good way but the industry is turning around and there is no time to rest. What is the hardest thing to get right in API practice? We believe that key factors for success lies in finding a healthy balance between delivering a concrete and clearly understandable value proposition and a smooth developer experience. If you fail on either of these, you will fail as a whole. The former will help you with attracting developers to your platform while the latter will influence their willingness to pay and mass adoption. 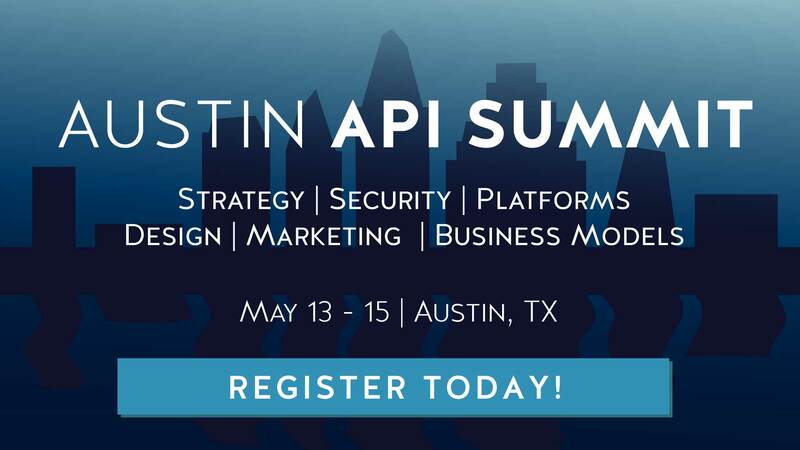 [At the Summit] I’m expecting to hear a diverse view on standardisation from a conference that puts exclusive focus on APIs, but are gathering a range of industries. I’m hoping for diverse discussions on the enablers/barriers for use of APIs. I have been following it for some months now. I am particularly keen to read up on case studies, success stories and lessons learnt from other companies. Some of my colleagues follow it to keep up on the technical trends in the space and we hope to be able to share some of our learnings in the near future! As a citizen of Stockholm for 4 years, he’s no stranger to the city of this year’s Nordic APIs Platform Summit, and he definitely thinks it’s a good place to be for this industry. I’m looking forward to welcome the conference delegates to ‘my’ town. With so many tech companies present, Stockholm is certainly a hub for exchanging experiences and establish a common ground on API standardisation.